Geekadelphia, South Fellini and The Trocadero are thrilled to announce the world premiere of Alpha Girls the feature length directorial debut of Tony Trov and Johnny Zito. Before Alpha Girls there will also be a screening of Annuncio a short film co-directed by Dan Tabor, the Arts & Entertainment Editor of Geekadelphia. The highly anticipated premiere will be held at The Trocadero, 1003 Arch Street, on Wednesday, October 3rd. Doors are at 7pm with the films starting at 8pm. The screening will be followed by a Q&A and an after party. Tickets for the event are $5 and can be purchased at the door the day of the event. Alpha Girls was completely filmed and funded in Philadelphia during the summer of 2011 thanks to an extremely successful Kickstarter campaign. 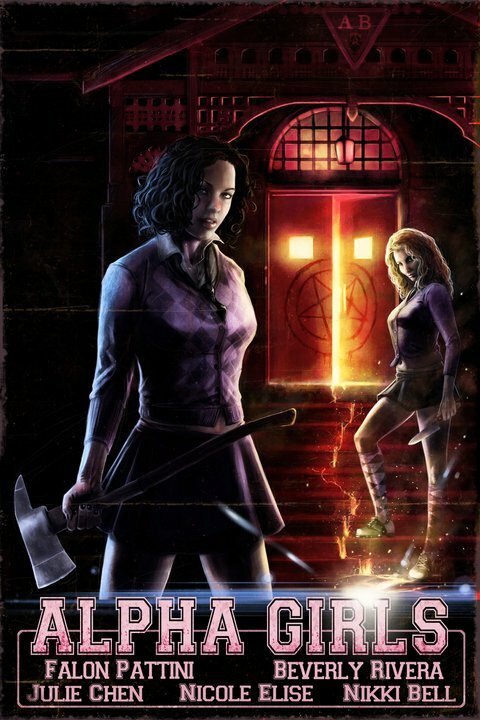 Since the debut of the Alpha Girls’ trailer, the film has been spotlighted on a number of popular horror outlets, from Dread Central to Bloody Disgusting. Alpha Beta house is the oldest and most elite sorority in the world. Some of the most influential politicians, celebrities and scientists are Alpha Girl alumnae. After performing long hidden rituals, some of the sisters suspect that their good fortune is tainted by demonic evil. They quickly realize firsthand that the consequences of their curiosity are much more gruesome than any of them could have possibly imagined.